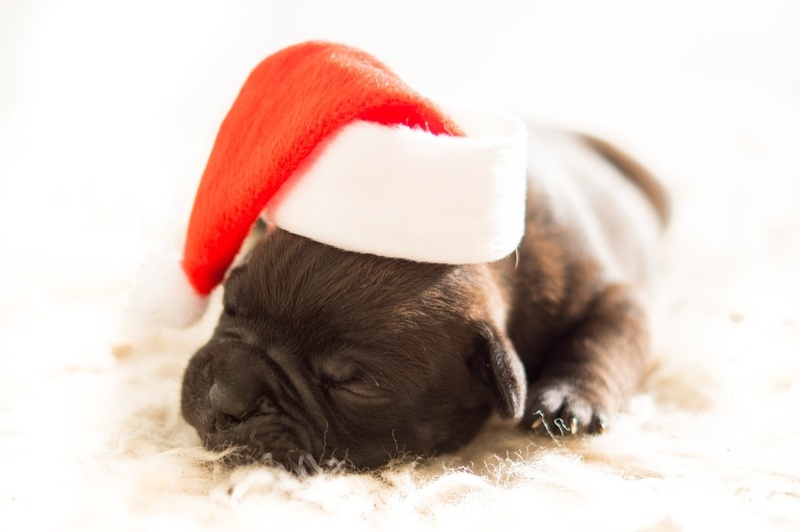 Christmas is just around the corner and in all the hustle and bustle your pet can be exposed to an array of new hazards and stressful situations. Don’t forget your pet in the preparations so that they have a fun and healthy Christmas too! Chocolate– chocolate is toxic to dogs. Make sure they do not have access to it and remember they can smell what is inside boxes so make sure presents containing chocolate are kept out of reach. Dried fruit– Sultanas can cause renal failure even in relatively small amounts. So make sure your pet has no access to fruit mince, Christmas cake or puddings. Cooked bones– People are often inclined to not waste the bone of a roast meal by giving it to the dog. Cooked bone is undigestible and more likely to splinter which can result in serious conditions like obstructions and intestinal perforation. Fatty meals– Do not feed your pet table scraps or extra special treats this Christmas. Fatty meals and sudden changes in diet can predispose pets to developing gastritis and pancreatitis. Onions, Garlic and Avocado– are all toxic and should be avoided. Christmas tree– Make sure your tree is secured or weighted properly to stop it from falling over. Dogs can knock trees over and cats can be inclined to try and climb them. Decorations– tinsel and ribbon if can be eaten by playful pets and cause obstruction of their intestines. Make sure these items are kept out of reach. When hanging low ornaments remember cats are inclined to swat and dogs are inclined to chew so bear this in mind when choosing their position. Christmas lights and power cords– dogs can be inclined to chew these risking electrocution. Keep these secured out of reach as much as possible. Change of routine & stress– visitors and change of routine can cause stress and make pets more likely to develop gut upsets. Try and maintain your usual routine as much as possible (for example daily walks etc.) and make sure pets have a quiet space to retreat to when visitors come over. Fireworks & christmas crackers– This is a time of increased noise for those noise phobic pets. Make sure your pet is safe and secure and has a dark quiet place to retreat to. If your pet is overly distressed by noise consult us for more advice as there are actions and medications that can help with this. Health Care- Remember to make sure you pet is up to date with their vaccinations, worming, flea and tick control in preparation for the festive season. Especially if you intend to board your pet or visit family/ friends with pets. Sat 26th Dec -Mon 28th December- Hermit Park open 10am-12pm each day. Sat 2nd Jan- Normal trading hours resume both clinics. Emergency Care- If your pet requires veterinary attention outside of our opening hours on Public Holidays or Weekends please phone JCU Vets on 1300 JCU VET. We offer our own afterhours service on weeknights ph 4779 5222.